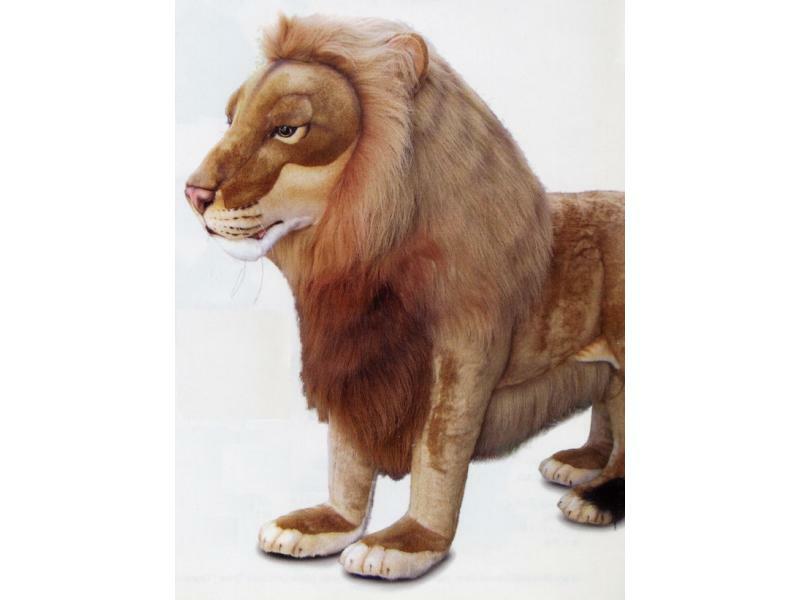 This wonderfully realistic plush Life Size male Lion measures approximately 54.5 inches long, 17.5 inches wide, and 41 inches high, and has a hang tag that contains info about where they live, how they raise their young, what they eat, their habitat, and history. A lightweight, but strong steel frame makes this animal "rideable" by children and adults. Buy this item and earn 995 points valued at $49.75.